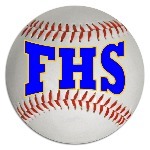 Falmouth Yachtsmen Varsity lost the ballgame after losing the lead in the sixth inning Saturday, as Portland grabbed a 4-0 victory in seven innings at Hadlock Field. Ruhlin got the win in relief for Portland. Ruhlin pitched 1 2/3 innings and allowed no runs. Reece Armitage ended up on the wrong side of the pitching decision, charged with the loss. He walked three, struck out nine, and allowed four runs. Portland went up for good in the sixth, scoring four runs on three singles. "Powered by Narrative Science and GameChanger Media. Copyright 2015. All rights reserved."